Last week I turned 33 (my Larry Bird birthday) and despite all the fun and cheer that comes with a birthday celebration, it’s also a prime opportunity to do a little soul (sole?) searching as I look to the next year ahead. I decided to work this out a bit through a Misc. 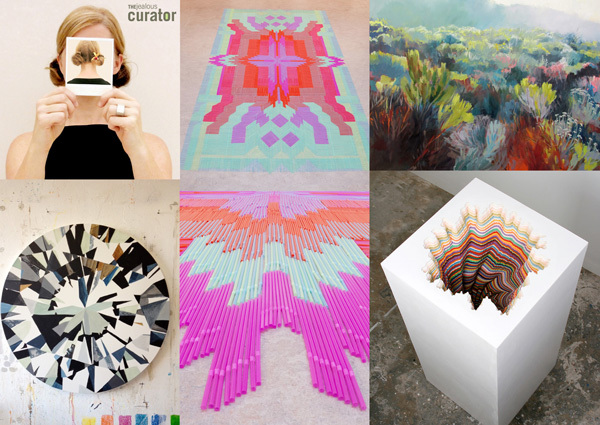 Six post, themed around reassessing my dreams and goals through inspiration. In taking stock of life at 33, I don’t feel physically older (ran 4 miles yesterday! ), but as my last post alluded to, I have a new awareness of some confusion around the contribution I’m making in this life. Of course, I’m helping to raise an amazing little boy, who, at just 2 years old, is so sweet, funny, imaginative, brave, and clever you’d think he was twice his age (not to mention he can count to 10, swim underwater, and hit a ball out of his own hand). But impressive offspring aside, there’s still a stubborn desire to leave a creative mark on this world as well (how to juggle those two entities is a whole other problem). The first major question comes from my day job, where I’m currently one of many designers on a team, each with a quantitative output of design work. I haven’t yet considered this a qualifying life accomplishment, however, since there are more prestigious titles beckoning from higher up on the corporate ladder. Unfortunately, in these more directorial roles, you trade your daily designing for meetings, management and politics, making it even harder to see the impact of your unique creative voice. I think many of my coworkers feel similarly and lately I’ve been inspired by two amazing colleagues who have taken their side projects to the next level in order to see their art make its way out into the world. 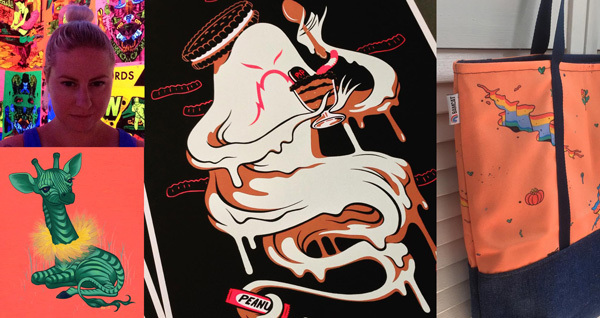 Number 1, above, is Allison Bamcat, who’s been applying her masterful use of surreal color and sweetly disturbing subject matter to hand-sewn pouches and totes (not to mention the original artwork, which she shows in galleries around the world). 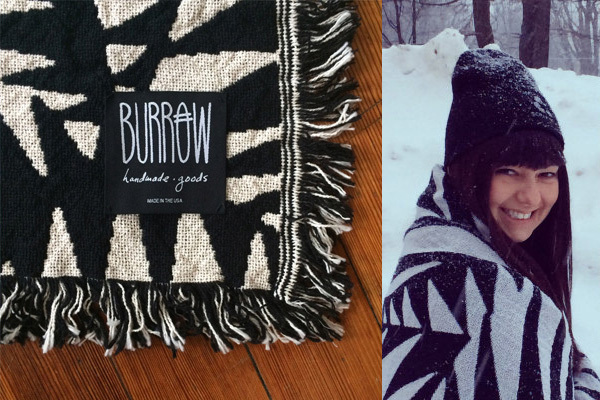 Number 2 is Burrow Handmade Goods from textile designer Jess L’Abbe, who has translated her signature geometric doodles into luxurious cotton throw blankets and other home accents. It’s always inspiring to witness pure ambitions rise above the drain of a demanding day job. Number 3: In a similar vein, I recently stumbled on a new-to-me blog called “The Jealous Curator,” who’s tagline “Damn. I wish I thought of that.” succinctly captures the sentiment of utmost admiration. After scrolling through about 50 pages of blog posts from the curator extraordinaire, I could easily confirm the clever tagline earns its keep, with page after page of compelling visuals and interesting art techniques. This blog gave me a renewed faith in all the artists out there following their dreams and pushing to create newness. I also love how the curator herself, Danielle Krysa, explains the cause and effect of her blog, “I’ve realized that jealousy can actually be turned completely on it’s head, and used as fuel to get back into the studio. It can only stop you if you let it. That’s when the magic transformation from jealousy to inspiration starts to happen… thank goodness.” Above is my own small collection of inspirational favorites from the Jealous Curator. 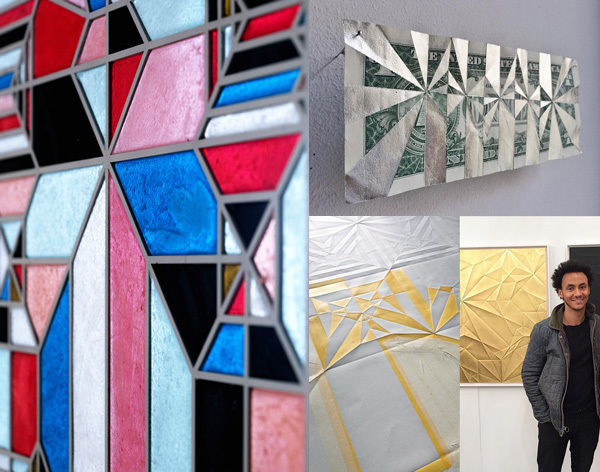 Number 4: I believe it was this image of a geometric stained glass window (above left) on my Pinterest feed, which lead me to the website of Swiss artist Sipho Mabona, who turned out to be a master origami designer. I was quickly sucked into his personal blog, getting a taste for what inspires him (often footwear! ), and enjoying his work-in-progress shots. Instead of kicking back and being satisfied as a one-note origami artist, Mabona pushes the limits of how the fold lines he designs can translate in various mediums and also how they can be experienced in a range of scales and environments. His thought process seems really progressive and I find it quite beautiful how he is able to both celebrate simplicity and elemental form while having a sky’s-the-limit attitude at the same time. Getting back to a reassessment of my own creative contribution, of course there’s my little hobby of hand making custom wedding shoes to consider. Now that I’m a mom, I’ve only been averaging about 4 pairs per year and each new project turns into a major imposition to my support system as I try to carve out uninterrupted time in my studio. On top of that comes the pressure of a hard deadline and the perfection every woman strives for on her wedding day. It has surely occurred to me that I could save a lot of added stress by avoiding the wedding industry all together and so I’ve started to consider how I might put my studio to use in other ways. For example, taking a cue from Number 5 on my list, Nancy Benoit. 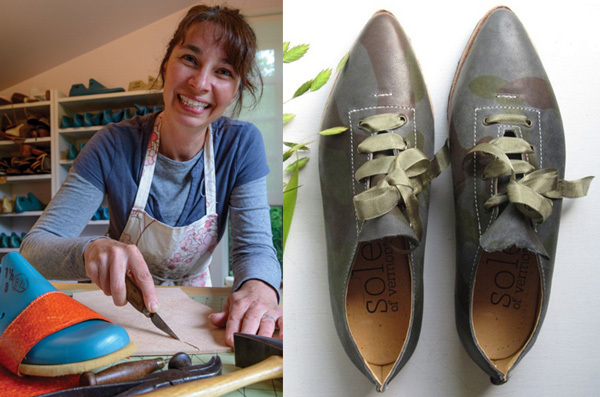 Having inherited her grandfather’s set of shoemaking tools, Nancy not only offers made-to-order lifestyle shoes through her own label, Sole of Vermont, but also hosts basic shoemaking workshops out of her home studio! Doesn’t that sound like fun? 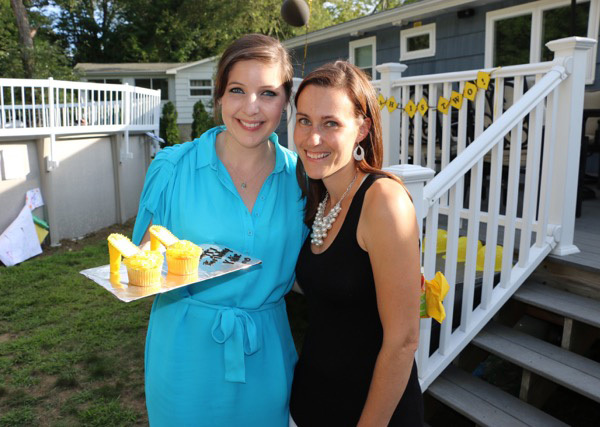 Number 6 is a shout out to my good friend Lisa – a fellow mom, 2nd grade school teacher, and expert cake maker. Just as my custom shoemaking will need to continue only as a hobby for now, so too will Lisa’s culinary pursuits remain in a similar state for the time being. Nevertheless, I hope that someday she is lucky enough to follow her dreams and take that passion project to the next level. 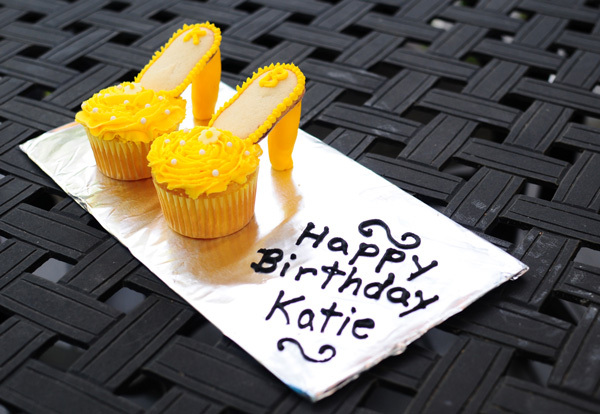 Until then, I count myself lucky to have a friend who would know me well enough to make special high-heel shoe cupcakes for my birthday (which tasted as wonderful as they looked! )­ I definitely don’t have all the answers for finding creative fulfillment, but while indulging in this special treat, I was reminded that even one little cupcake can be a step on the journey of artistic contribution. Hopefully these six miscellaneous morsels of inspiration will serve as encouragement for you, too. This entry was posted in art, inspiration, katie, misc. six. Bookmark the permalink. Katie Blauer Custom Wedding and Special Occasion Footwear: the ultimate accessory for your most important events, from the red carpet to your wedding day. Designer and artisan, Katie Blauer will work with you from the first to the last step in creating a one of a kind pair of shoes that are as unique as you. Ready for your custom pair?